A great multi-use glove that provides general protection and is high-visibility. 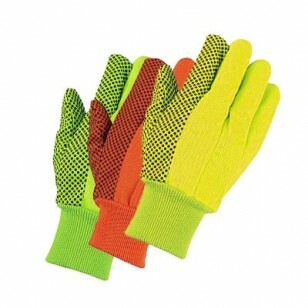 Strong and comfortable, they will provide reliable abrasion resistance. PVC dots improve wet and dry grip. Ideal for general purpose applications.